Memento is a special way to say goodbye to your loved ones. 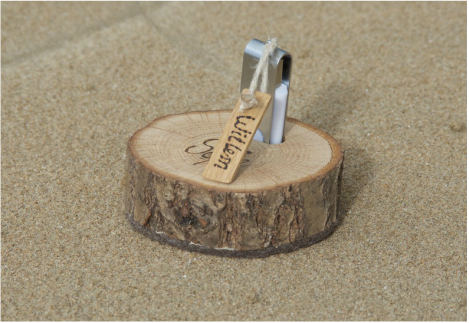 You can put your important music, texts, pictures and (scanned) letters on the USB-stick. 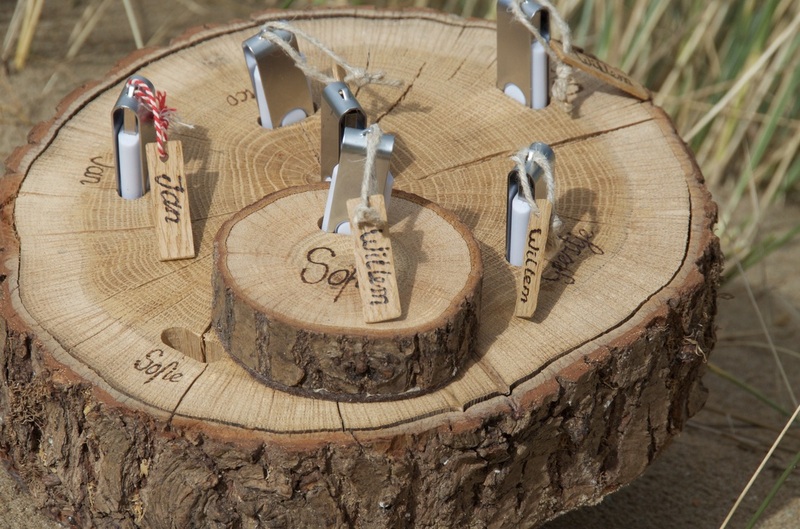 You give them all in their own small tree disc with the name of you (on the wooden label) and your loved one on it. 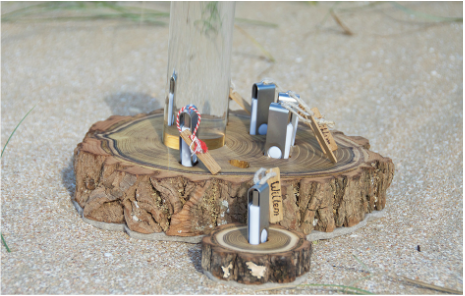 Memento kan be made out of different sorts of wood with the number of USB sticks required. A version with a glass colum with a sandblasted text or photo in the middle is also possible.